Welcome to Navajo Lake Lodge! Your Place for fun under the sun in Southern Utah! 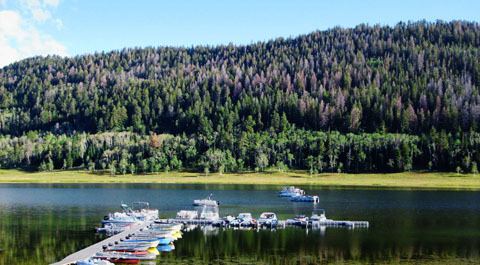 Navajo Lake Lodge is located 26 miles east of Cedar City, Utah on Highway 14. Navajo Lake is a mere 3 hour drive from Las Vegas. 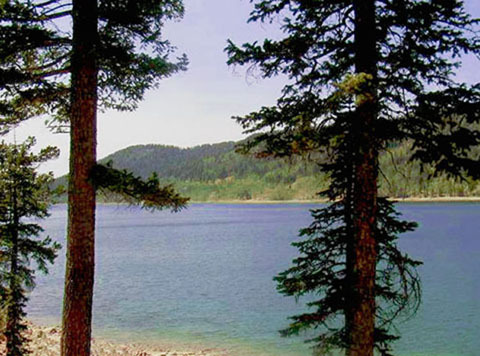 Come and enjoy your stay on beautiful Navajo Lake in the Dixie National Forest, the heart of scenic "Color Country" Utah. Navajo Lake Lodge is centrally located between Bryce Canyon, Zion National Park, and Cedar Breaks National Monument. 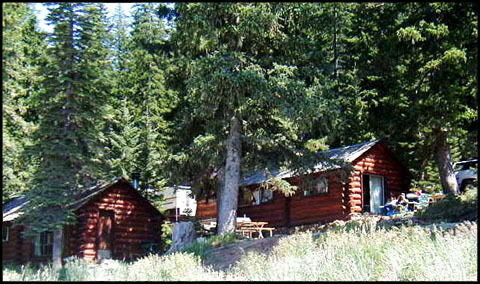 Navajo Lake Lodge was first established in 1927 and currently has 11 rustic full (kitchenette) cabins. All of our cabins include bedding, towels and basic kitchenware. 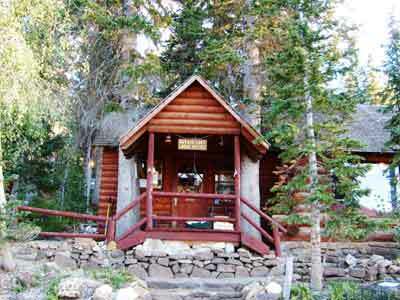 However none of our cabins include refrigerators, so bring a cooler for your perishables. Navajo Lake Lodge is a family-oriented resort. Activities include trout fishing, boating, canoing, hiking, and trail biking. Call it Navajo Lake . . . or call it "Blue Mirror of Heaven" as the Indians did. At Navajo Lake you'll find... Sky Blue Waters, Fresh Air, Delightfully Cool Nights, and scenic grandeur that will give new meaning to the joy of living! Located on the premises you will find a well-stocked General Store. For those of you who are true "Fisherpersons" (my wife assures me this is politically correct.) you will find the Rainbow, Brook, German, and Splake trout for your fishing pleasure.